Abed Ayoub, the legal director of the American-Arab Anti-Discrimination Committee, told The Independent in the United Kingdom that Islamophobia in the United States is encouraged by US foreign policy, the movie industry, and right-wing media. “[The North Carolina murders] may not be directly linked to the film, but the overall way that Islamophobia and anti-Arab sentiment are moving in this country is portrayed in the words of those who watched American Sniper,” Ayoub said. 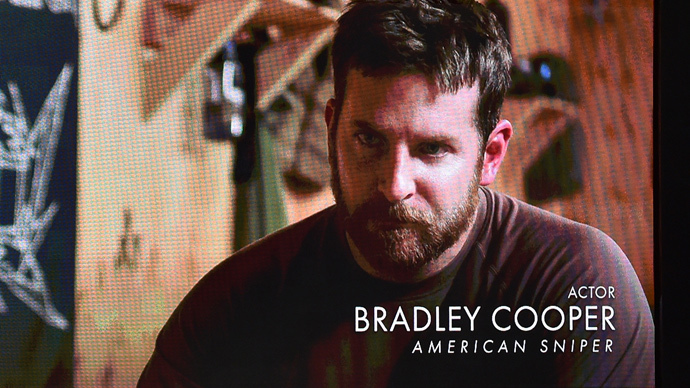 American Sniper is the largest-grossing January opening for a movie in history. and is nominated for six Academy Awards, including best picture. Former navy SEAL Chris Kyle, on whose memoirs the movie is based, wrote “I hate the damn savages. I couldn’t give a flying f**k about the Iraqis.” He was killed by a former Marine at a shooting range in Texas in 2013. Ayoub also points to coverage of the Chapel Hill slayings, which he sees as muted or altered based on the victims’ religion. How the government approaches Muslims, and how Muslims are covered in the mainstream media must change, Ayoub said. “There are key individuals who could tone down the Islamophobic rhetoric,” he said. “You have people on the extreme right that just push that Islam is an evil religion and Muslims and Arabs are these evil people. The murder of three Muslim university students in Chapel Hill, North Carolina on Tuesday was unlikely a religiously-motivated hate crime, local police have said, though they have vowed to investigate all possible angles involved. Murder suspect Craig Stephen Hicks was the neighbor of Deah Barakat, 23, his wife Yusor Mohammad Abu-Salha, 21, and her sister Razan Mohammad Abu-Salha, 19. Their conflict is said to have stemmed from issues over parking outside their apartment complex. Shafi Khan, a friend of the students, told CNN Wednesday that some American media and right-wing politicians, including Louisiana Gov. Bobby Jindal, intentionally fan flames of anti-Muslim hatred. Khan also called out Oklahoma state senator John Bennett who called Islam "a cancer that needs to be cut out of society." “And the Republican Party establishment, instead of condemning him, came out and made a point of saying they stand by him,” Khan said.